Massachusetts native in midst of a breakout season with Des Moines. 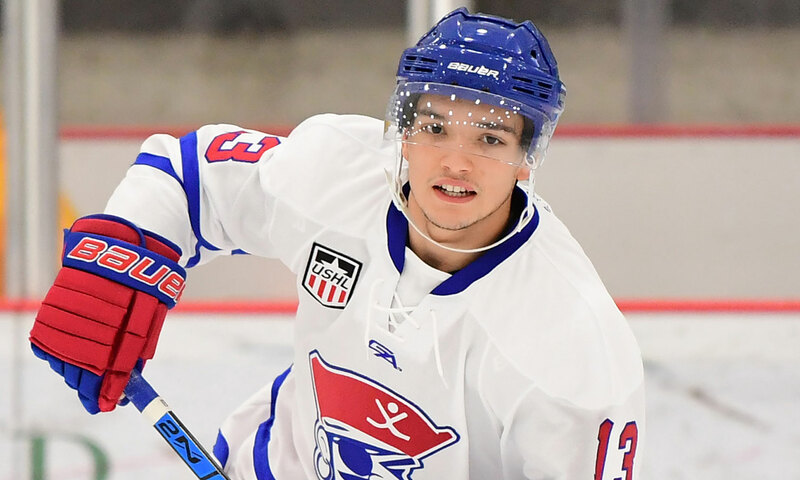 Des Moines Buccaneers forward TJ Walsh announced his commitment to Northeastern University this morning. Formerly a tender selection by the Cedar Rapids RoughRiders, Walsh was acquired over the summer by the Buccaneers via trade and has had a breakout year so far in his third USHL season. Walsh is currently second on the team in scoring and eight overall in the USHL with 22 points. Walsh is the second Buccaneer to commit to Northeastern University, joining Bucs’ defenseman and Edmonton Oilers prospect Michael Kesselring, and is the third Des Moines player to make his college commitment this week.